If you're anything like me, I write everything down on post-it notes. So much where I feel like it starts to take over! I needed to take it easy this year and become more organized! 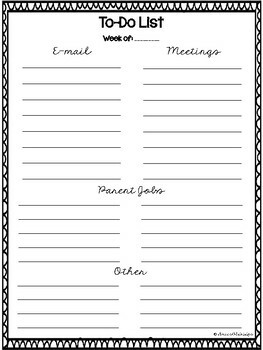 Organize your school year with these to-do lists! 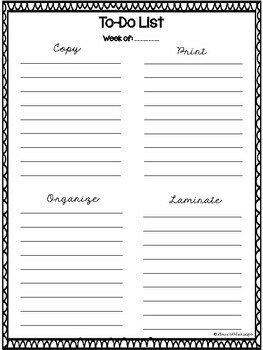 Included are columns where you can jot down everything like what you need to copy, print, organize, and laminate. Also, who you need to e-mail, what meetings you have/need to make, and what jobs you need your parent volunteers to do. There is also space for anything else that doesn't fall into any of the above categories. Included are 2 pages which you can copy double sided to save paper.